Fayetteville offers a variety of meeting spaces to suit your needs – whether it’s 10 people or 2,500, there is something for everyone. 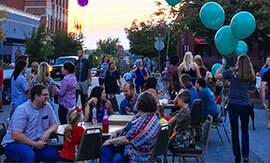 One space that can fulfill just about any of your needs is the Fayetteville Town Center. 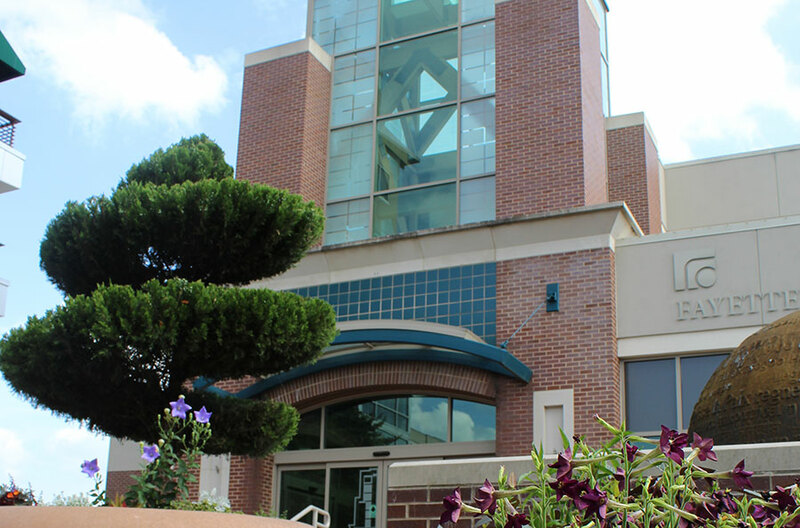 Located in the heart of downtown, the center was built in July 2001 and hosts numerous events each year. With six full-time staff members, a full-service kitchen and attached parking deck, the Center is fully equipped. The Town Center also has the supplies needed to host a meeting, such as stages, pipe and drape, bar service, and sound and lighting systems. The professional staff can even help plan and organize your small or large meetings or events. 15,000 sq. ft. airplane hangar available. The historic church makes for intimate meeting and performance space. Flexible seating for up to 50 people. Private space for 12-75 people. Inside seating up to 90 people and outside space for up to 250 people. 2,000 sq. ft. Seats 150 people. 300 sq. ft. Seating for up to 50 people. Auditorium holds 300 people. Other rooms 10-100 people. 6,000 sq. ft. Seats up to 300. Completed in September 2015, this world-class performing arts center provides a flexible seating capacity from 487-587 seats. 13,570 sq. ft., seats up to 700 people. 3,000 sq. ft. Seats up to 250 people. Room can hold 50-100. Full concert capacity is 700. Private “Tap Room” space for 40-55 people. Entire upstairs 100-200 people. Veranda - seats 40-60. Courtyard - seats 200-300. Old Main lawn - unlimited. 10 classrooms can have 50-75 people each. Auditorium up to 400 people. Many other rooms available. 3,996 sq. ft. Holds up to 300 people. Private room holds 16 people, covered patio outside holds 100 people. Foyer seating for 10-38. Lawn and Patio seating for 200 people. 2,300 sq. ft. Seating up to 126 people. Seats up to 350 people. Auditorium for up to 300 people. Other rooms for 28-100 people.